Panic attack! Have you ever had one? If so, you know that few things in life can be as unpleasant or scary, especially the first time you have one. When I was in the hospital many years ago now, they compared a panic attack to a tornado or vortex. What may start as a small twinge of anxiety can quickly mushroom and spin wildly out of control. If you have never experienced a panic attack, or if you’re not sure if you have, today I am going to share my personal experience. Please keep in mind that I am not a healthcare professional. I am just another mental health warrior trying to get through each day without falling apart. Disclaimer: This blog contains my personal experiences with mental and chronic illness. This site is not a health authority, and I am not a mental health professional. If you or a loved one are having symptoms that might be mental illness, please seek the appropriate help immediately. Can you tell me what a panic attack feels like? This week, I saw my primary care doctor. He was training a new and soon to be licensed practitioner. They asked if I was willing to take a few extra minutes so she could learn more about my conditions and how they affect me personally. Of course, at first, she wanted to know about Familial Mediterranean Fever. Since no one in my area seems to have ever heard of the disease before, I am used to explaining it at every appointment with a new doctor. Fortunately, I have a blog post now that I can refer people to that makes the conversation much shorter. Next, we got onto the subject of bipolar and anxiety. She asked specifically what a panic attack feels like. I sometimes forget that not everyone experiences them, so I decided it would make a good blog post. Get ready. Here we dip into the bipolar mind again for a glimpse at (relative) insanity. Disclosure: This site is a participant in the Amazon Services, LLC. Associates Program, an affiliate advertising program designed to provide a means for sites to earn advertising fees by advertising and linking to Amazon.com. This post contains affiliate links. Any purchase made through such links will award me a small commission or referral fee, at no extra cost for you. It’s how I keep the lights on. To help you understand the concept of a panic attack, start by imagining that you are standing on the edge of a high cliff. For those of you not bothered by heights, think of something else that you are scared of – snakes, spiders, clowns – whatever raises your anxiety level the quickest. That feeling, that heart-racing pounding in your chest, that’s panic. It’s the same feeling you get when you are just inches from being in a serious car accident. If you are afraid of clowns (I’m not, but I can easily understand how you might be), the feeling of panic would subside once you were safely away from the clown. There might be some lingering anxiety when you think about the clown, but, overall, the worst of it will have passed. Panic attacks are different. Though the worst of the attack usually only lasts 20-30 minutes, it can last for hours. Once the attack itself subsides, the feeling of heightened anxiety can stick with you for days or weeks after. 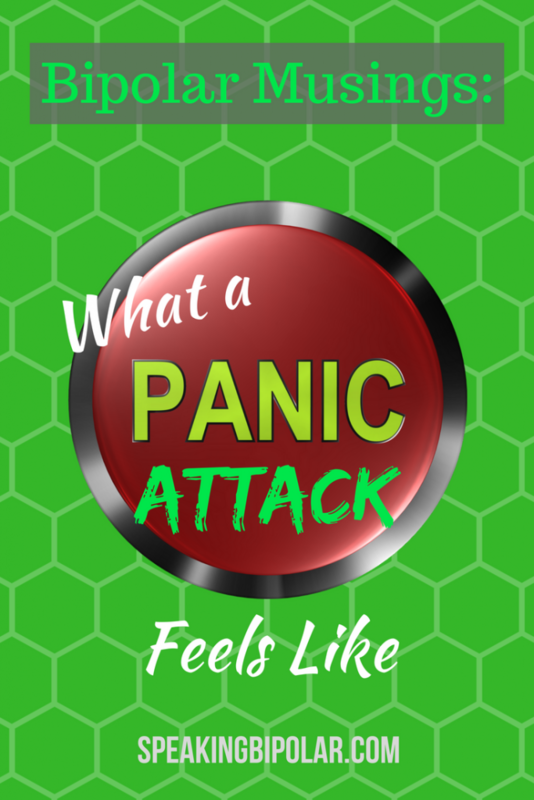 If you suffer another panic attack during that time, the feeling only gets worse. No matter what you do, it still feels like the clown is with you, hiding behind you and ready to attack. The fear just won’t subside. It can be completely debilitating. The worst thing, from my point of view at least, is that panic attacks can strike at any time and without any warning. You could be having a perfectly pleasant day or be sound asleep when panic suddenly wraps its icy hands around your lungs making it hard to breathe. Simple things can become unbearable. Often there is no trigger, and if you are away from home, the ability to cope seems that much more impossible. It should be no surprise that many people go to the emergency room with a panic attack. I’ve never had a heart attack, but I know well the chest pain and shortness of breath that can accompany a panic attack. More than once, I feared I was indeed having a cardiac event. That said, if you think you might be having a heart attack, do not hesitate to seek treatment. Call for emergency services or get to the ER. It’s better to have an anxiety attack in the ER than a heart attack at home. Don’t take chances. Happily, the situation is not hopeless. The right medication can greatly reduce the frequency of panic attacks and the length of their aftermath. Some people stop having them altogether. I have not been so lucky, but mine have decreased considerably. Currently, my doctor and I are working together to see if a new addition to my drug cocktail might eliminate them completely. Talk therapy has also helped many people, myself included. Many attacks are caused by triggers, and talk therapy can help you figure out what your triggers are. I’m a huge advocate of talk therapy. I saw a wonderful therapist for six years (after a parade of bad ones) and learned a great deal about myself in that time. The lessons I learned there have helped me be more successful in my life and to have better control over my mental health. A panic attack can be a terrible thing, but there is hope. Keep that hope in front of you, and you will ultimately be just fine. It is my hope that this post will help someone. Please share it with others you think could benefit from it. The strangest panic attack symptom I ever had was my hands and feet tingling. Which just caused me to panic even more. I had a migraine at the time and panicked so bad that I could be having a stroke or going to have a seizure that I called an ambulance. It was embarrassing when they told me I was having a panic attack. That was the first time I experienced the tingling in my extremities. Not my first ER trip for panic attack though. The first trip was when I woke with chest pains. It seemed so odd to WAKE UP with a panic attack. 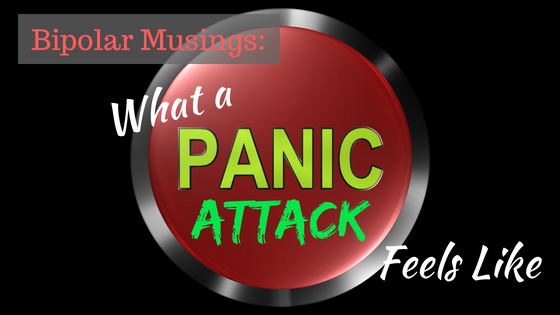 Yes, panic attacks can be lots of fun (he says sarcastically.) I’ve had the hands and feet tingling, and once my legs became completely useless. To me, waking up to one is the worst because it takes your mind so long to comprehend what is going on. Thanks for sharing your experience! Better to go to the ER and be embarrassed than to have a serious, life-threatening event and stay home. Hang in there! So glad I reread this. I had another panic attack last week; while my husband helped me talk my way out of it, it’s still such a f’ing awful experience. Thanks for helping describe it in words–I think I’ll have my husband read this so he can visualize what it feels like. I’m so sorry you are having to deal with panic attacks. They really are a unique animal that’s hard to explain. I hope the post helps your husband to understand better what you are going through. It will, thank you! The more context we can give others who don’t understand, the better.